It’s July. I wish I was joking, but we’ve blown through half of this year already. I have no idea how. The last few months have been full of chaos and challenges around here. I managed to ding up my minivan not once, but twice. It turns out I can drive just fine, but I have somehow lost my ability to park. Less than a month after getting it back from the repair shop for the major smash ($3k of damage), I smashed it again in the exact same spot (on the van, not the same parking lot). During the same time period, our fridge decided to die. Because we have a smallish space for it, we were super limited in our choices for a new model, and it turned out we had to wait 10 truly fun days for the new one to be delivered… During THAT time period, we realized that my side of our sleep number bed has sprung a leak. It slowly deflates every night. It would be pretty amusing, if it weren’t so uncomfortable. There’s been a bunch of other exciting stuff that has gone wrong lately, but, I think you’re getting the idea. It’s from THE one and only Cookie A! 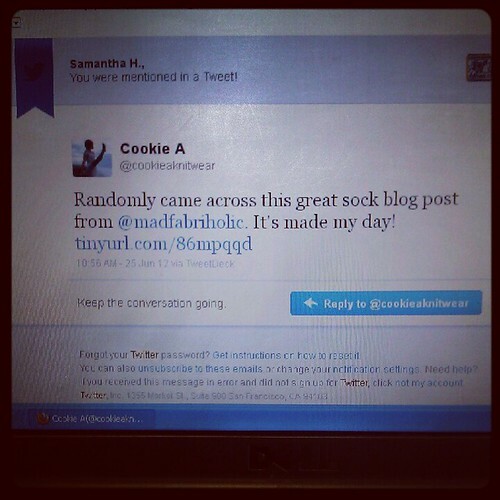 Stating that a blog post of mine made HER day! Zoinks. 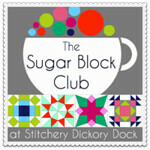 The post was the round up I did of all my finished knits from the 2011 Cookie A Sock club, and I was really happy with those photos. I just finished my 3rd pair for the 2012 club, so it seems like a wonderful time to share my progress. Want to see? Cast on in March (shipment was delayed by the post office), slowest socks I ever made. They are stunning, and the pattern is not difficult, but I found that I had to look at the pattern for every single row. I couldn’t take them to work or carry them along with me, and so, they took forever. Bound off the second sock this past weekend. 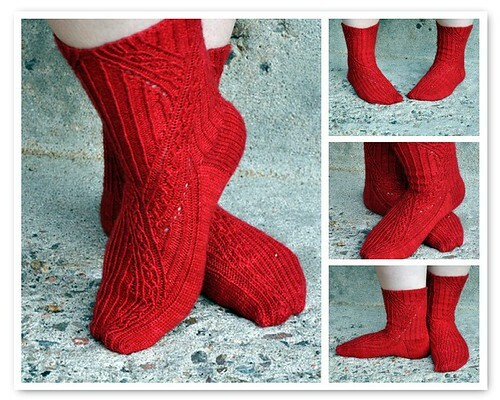 But, they are stunning now and probably the most elaborate socks I have ever made, so, hooray! Super simple yet truly effective pattern. Lovely yarn with wonderful shading. I made a few major mistakes in the first sock, but I’m hoping no one will notice. So, don’t look too closely! LOVE the color, love the yarn. The pattern is stunning, same for right and left foot. super simple to memorize and work on. Took em everywhere with me… May be some of my favorite socks, ever.